On November 15, 2018, U.S. Energy Secretary Rick Perry announced $98 million in funding for 40 new projects as part of OPEN 2018, ARPA-E's latest open funding opportunity. These funds will support some of America’s top energy innovators’ research and development projects as they seek to develop technologies to transform the nation’s energy system. 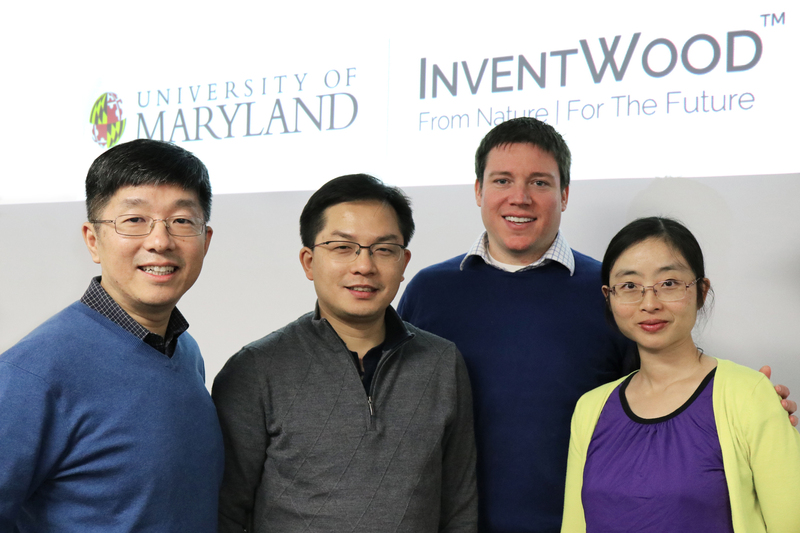 Dr. Liangbing Hu (the PI), University of Maryland Associate Professor of Material Sciences and Engineering and the Maryland Energy Innovation Institute (MEI2), and Dr. Teng Li (a Co-PI), Professor in Mechanical Engineering at UMD received one of the OPEN 2018 awards for their work in “Super-strong, Low-cost Wood for Lightweight Vehicles”. The research grant of $3.6M will support the further improvement, manufacturing and commercialization effort of their super-strong, low-cost wood technology (also called mettlewood). With the addition of this award, UMD now receives over $55M in funding in ARPA-E awards. The team including Inventwood LLC will further develop their “super wood” approach to providing an alternative to steel and carbon fiber in the automotive industry. Over three years, the project will improve super wood’s properties to achieve the ability to withstand pressure of 1 gigapascal (or 145,038 pounds per square inch) and meet the requirements of a low-cost automotive structural material. This material could cut vehicle manufacturing costs by 10-20% and reduce the energy used in the manufacturing process by up to 80% on a component level and by about 28% on a vehicle level. InventWood, a wood technology-focused spin-off company from the University of Maryland, was founded in 2016 to bring several new exciting wood technologies from Hu group to market including super wood, transparent wood, thermal insulating wood, water desalinization wood, battery wood, etc. In addition, Hu’s “Super Wood” is also a recent recipient of the 56th annual R&D 100 Awards—an international competition that recognizes the 100 most exceptional innovations in science and technology from the past year. The R&D 100 Awards have long been considered the most globally prestigious recognition of invention and innovation. R&D 100 Awards recipients include established Fortune 500 companies and federally funded research institutions, as well as academic and government labs. Their leading products, technologies and services will make a difference in a wide range of industries and together represent a bright future for science and innovation in the years to come.